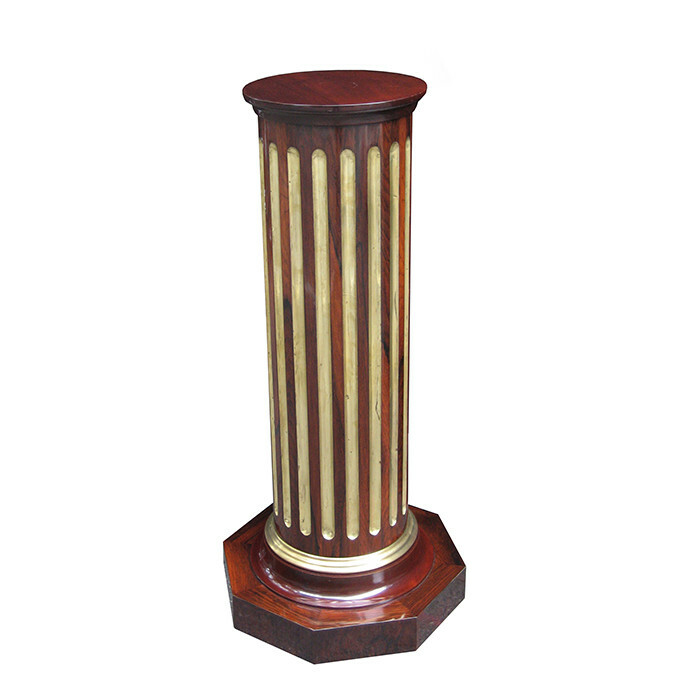 A fine Neoclassical pedestal with round top and octagonal shaped base. Mahogany with patinated brass details. Dimensions: H: 41½ Base W: 19 D:19 Top Diameter: 13 Inches.